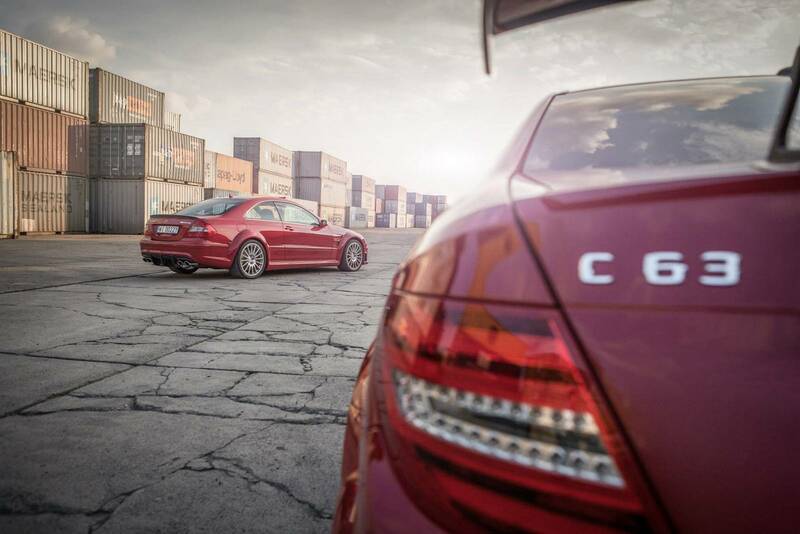 Mercedes-Benz C63 & CLK63 AMG Black Series – Do cars take selfies? Home AMG Mercedes-Benz C63 & CLK63 AMG Black Series – Do cars take selfies? Do cars snap selfies? Cause if they do, this must be as valuable as the selfie snapped by Bradley Cooper on the night of the Academy Awards ceremony in Hollywood. 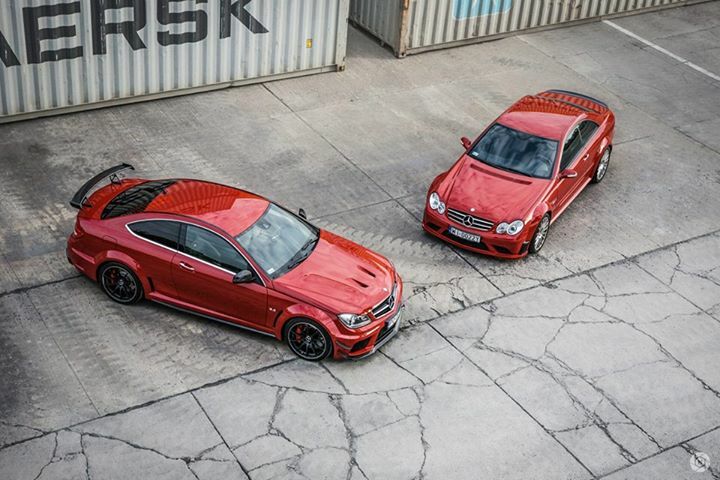 The Mercedes-Benz C63 AMG and the CLK63 AMG Black Series, or maybe we should call them “the Brangelina couple” of the automotive, are second to none when it comes to being photogenic. And they would surely not be embarrassed by their power either. There are wild horses running under the cambered bonnet of the Mercedes-Benz CLK63 AMG Black Series. Its 6.2-liter naturally aspirated V8 sends out 507 HP and 465 lb-ft (630 Nm) of torque. A 7-speed automatic transmission takes it all the way to the rear wheels. 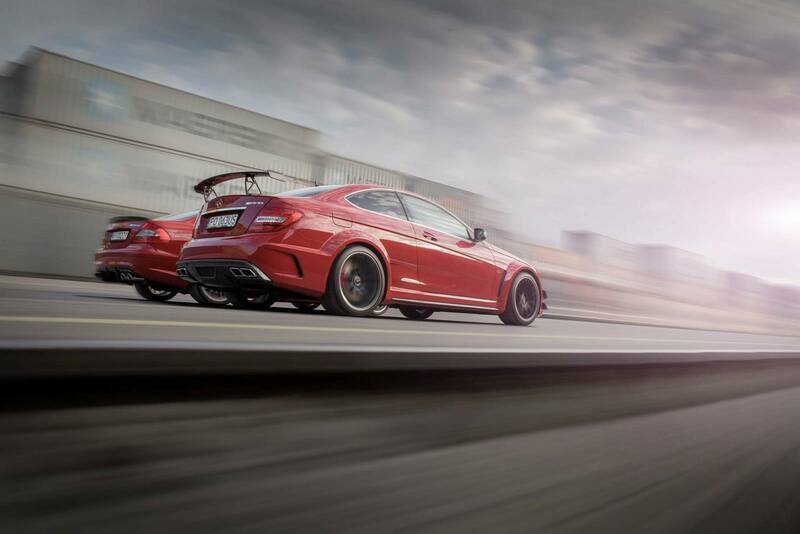 The figures are not much different for the slightly stronger C63 AMG Black Series. 510 HP and 457 lb-ft (620 Nm) of torque for its friend and foe. With candy red paint work and carbon fiber decorations to amplify their muscle cars reputation, the two pose next to each other in a photo session set up by Polish automotive photographers T. Bambot & M. Nasierowski and published by GTSpirit. Hats off for the VIP photo session made by the Warsaw-based photographers!